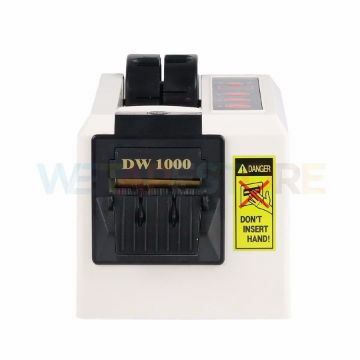 DW-1000 is used for adhesive tapes for work packs. Can set the size as needed Instead of using a hand tool, no need to endure the hand pain in cutting clear tape anymore The machine works easily, fast, easy to use. Made in Korea. 1 year warranty. IGK-1000 (DW-5000) is used for feeding adhesive tape for work packs. Can set the size as needed Instead of using a hand tool, no need to endure the hand pain in cutting clear tape anymore The machine works easily, fast, easy to use. Made in Korea. 1 year warranty. Used for entering label stickers for work Can speed as needed And how many counts have already been used The machine works easily, fast, easy to use. Made in Korea. 1 year warranty.